EML Viewer Pro is an file viewer for managing email messages stored as .eml files (RFC-822 format). It also opens Outlook .pst and .msg files. One of EML Viewer’s useful features is it’s ability to convert .eml files into .PDF files. This short tutorial covers the process, step by step, of how to convert email to .PDF using EML Viewer Pro. The first step is to acquire a free trial of EML Viewer Pro (which is also marketed as Pst Viewer Pro) and then start the application. Next, using the folder tree on the left of the main software screen, find the folder where your .eml files are located. Once you select this folder, EML Viewer Pro will read in all of your .eml files and present them in the mail list. Search your files to locate just the .eml files that you need. 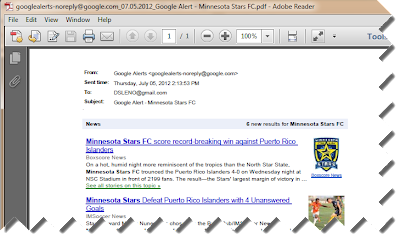 Here’s an article we wrote earlier that explains how to use EML Viewer Pro’s email search function. When the email messages that you want to convert to .PDF files are displayed in the mail list, click on one of the messages, then type CONTROL-A on your computer to select ALL messages. Now, all email messages you want to export to .pdf will all be highlighted in blue. 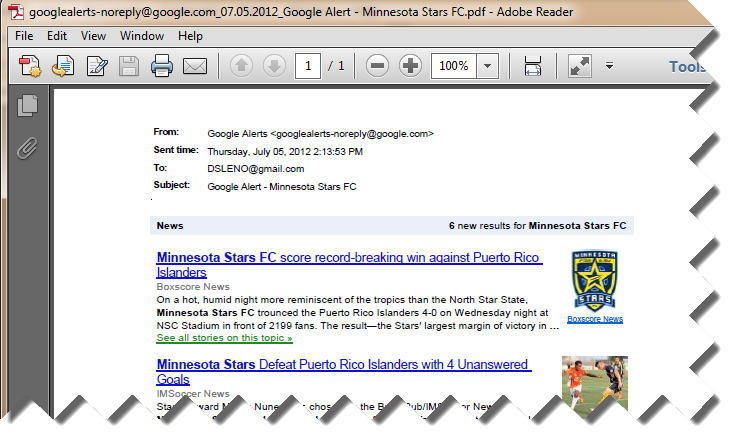 Selected email messages are highlighted in EML Viewer Pro’s Mail List window. Now that the messages are selected, locate the Export Icon in the main toolbar and click on it. Clicking on the Email Export Icon will open the Export Manager screen. Email Export Manager. Select the Export Profile you want. 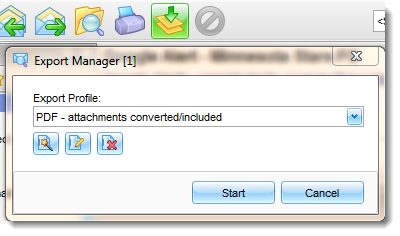 The “PDF – Attachments converted/included” export profile will attempt to convert the email files as part of the .PDF image. If EML Viewer Pro is not able to convert any email file attachments to PDF, then the file attachment will be embedded as a separate file within the PDF. Click “START” to begin the process. 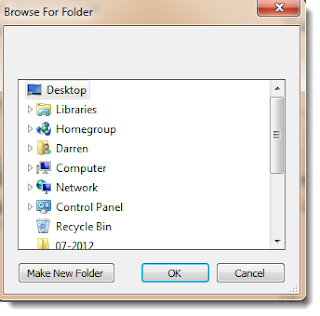 Select a folder where EML Viewer Pro will copy PDF files it creates. EML Viewer Pro will ask you where you want it to place the PDF files it is creating. Just select a target folder and click OK, and the export operation will proceed. When the operation is finished, the .pdf files will be in the target folder you selected earlier. Below is an image of a .pdf file that EML Viewer Pro created, as it is displayed in Adobe PDF Reader. 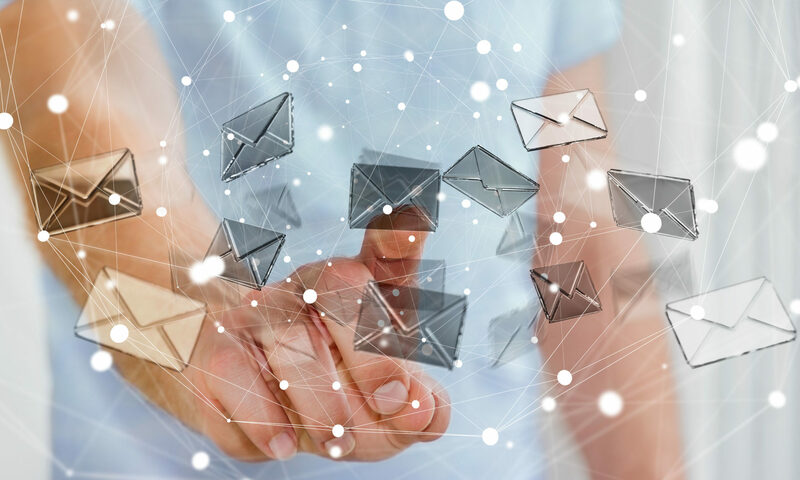 The top of the PDF file includes the From, Sent, Date, To and Subject fields from the .eml file, followed by the email body in either HTML or Text format. In our next article, we will look at configuring EML Viewer Pro’s PDF Export profile so that you can have more control over the formatting of the PDF’s that it creates. For example, you may want to export to European standard page formats. Until then, download and enjoy your free trial of EMLViewer Pro. We’d love to hear your comments or questions, Please post them below in the comment field. This software works great, much better than the other stuff I have tried. It handled my 5000 emails perfectly. Thanks.